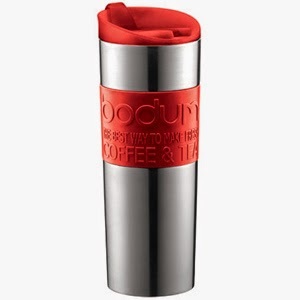 For those who like to take their coffee/tea on the move while on their morning commute, but can't stand the thought of instant; here is a great solution for an excellent cup of coffee/tea when you’re on the go. 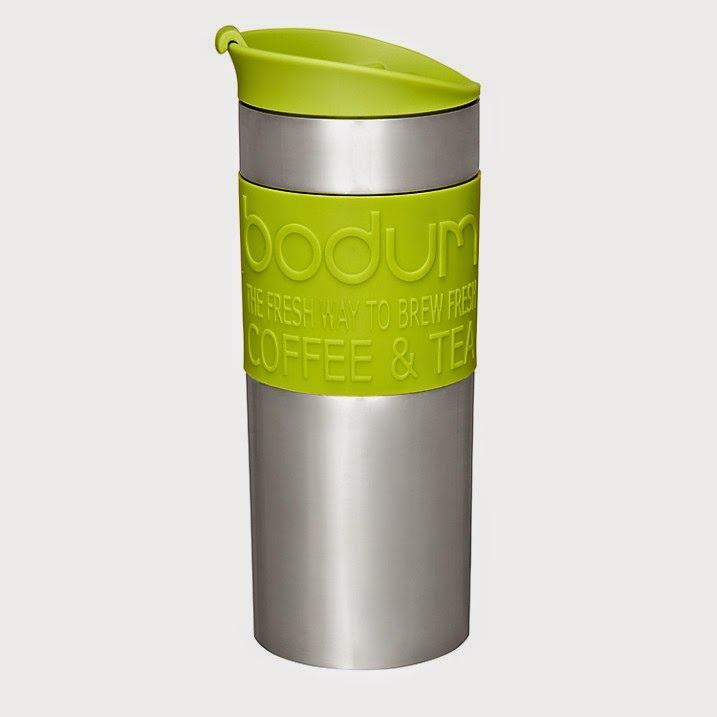 This Bodum stainless steel travel mug looks perfect! 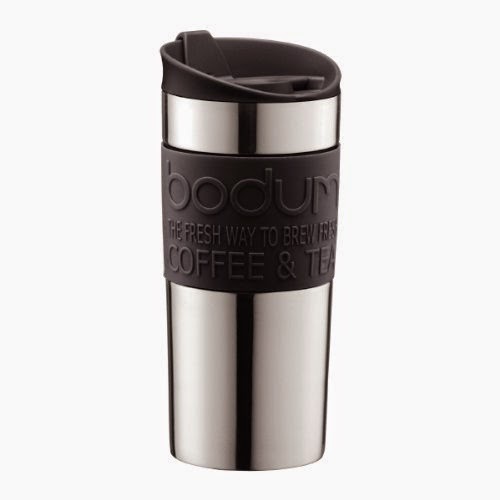 This 16-ounce capacity mug boasts a wide silicone band for a firm grip and a double-wall stainless steel construction is vacuum sealed to better maintain heat. The slip-proof silicone band around them comes in 3 different colors; read, Lime green and Black. Choose one in your favourite colours.